Our very short summer is quickly turning to fall, and it has done some wacky things to our growing season. 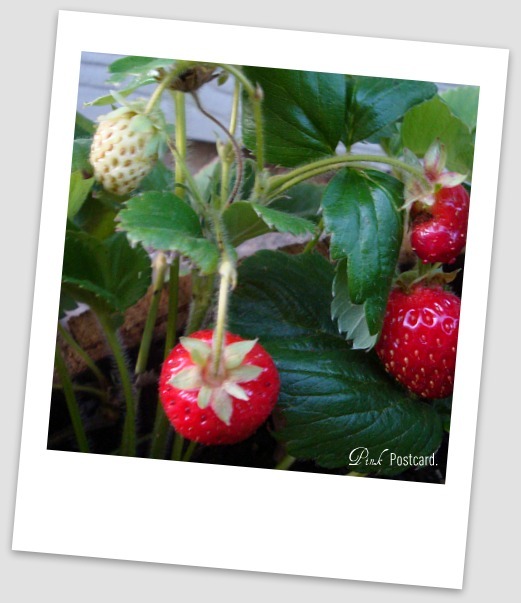 Happily, one of the benefits is that I have strawberries- at the end of August! 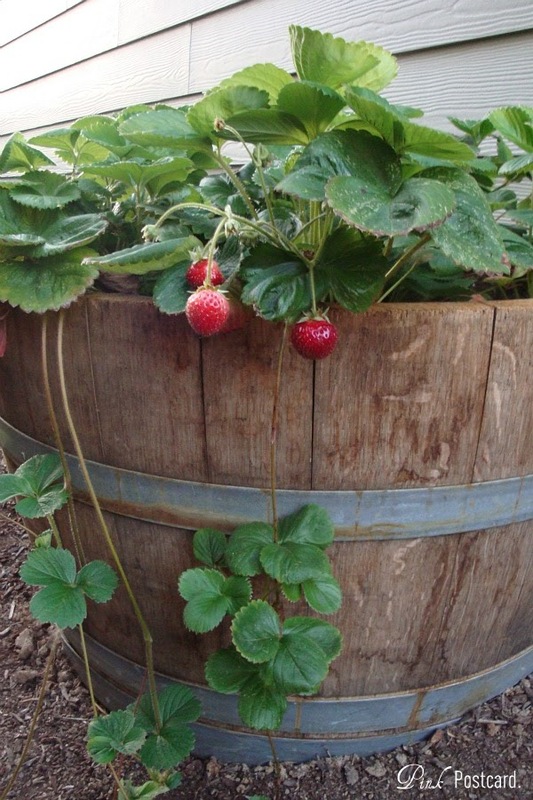 The wine barrel gardens have done very well. The only thing that hasn't done fabulous is the basil. It was hangin' on by a thread for awhile, but now it looks healthy- although not the bounty I'd hoped for this year. 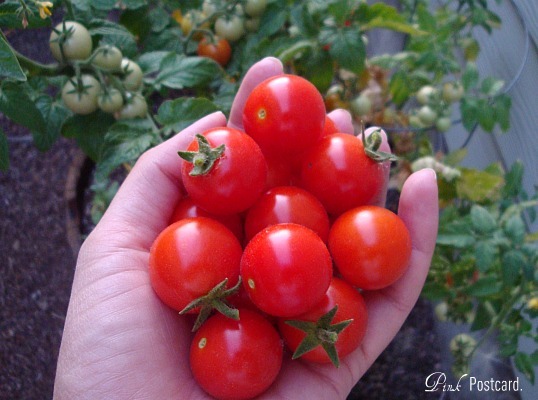 Our cherry tomatoes are coming on in full swing and I can pick a handful almost daily. The other night I was able to pick a bunch of parsley for homemade chicken noodle soup. I found a super easy recipe that I hope to share with you soon - once the weather feels more like soup season. I am waiting a bit longer to harvest some of our other herbs for fall and winter cooking. It has been so fun to have a garden again. I've loved having a little niche to grow some of the things we love. I hope you are enjoying the benefits of your garden! Do you container garden or have a full on spread? 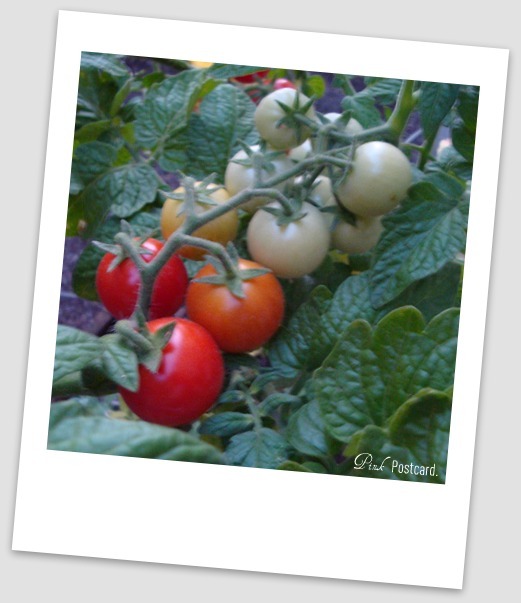 I love growing tomatoes too! They are so tasty right off the vine. Your strawberries look delicious. Mmmmm.....fresh from the vine tomatoes! My herbs did really well this year - but tomatoes, not so much! I'm so inspired to grow a container garden. The thought of a "real" garden really overwhelms me. 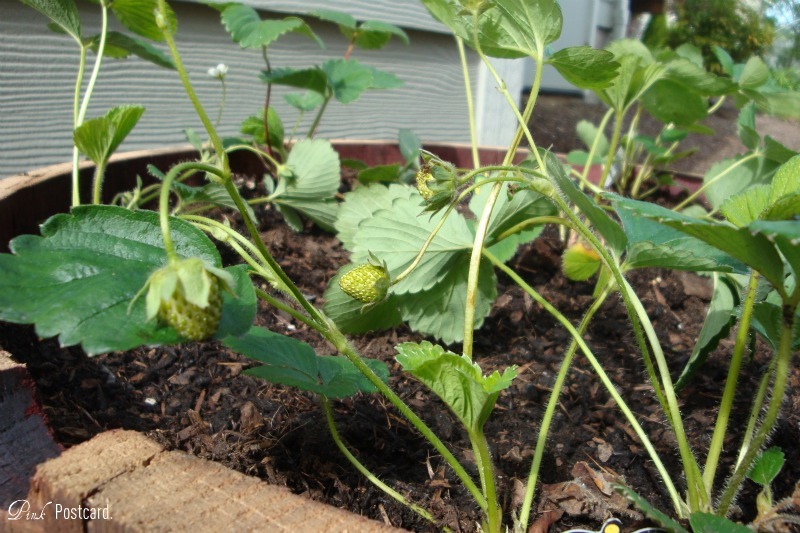 Love the strawberries and tomatoes...so fun.